The time has come where there is a growing need for a physical QWERTY keyboard for the iPad. 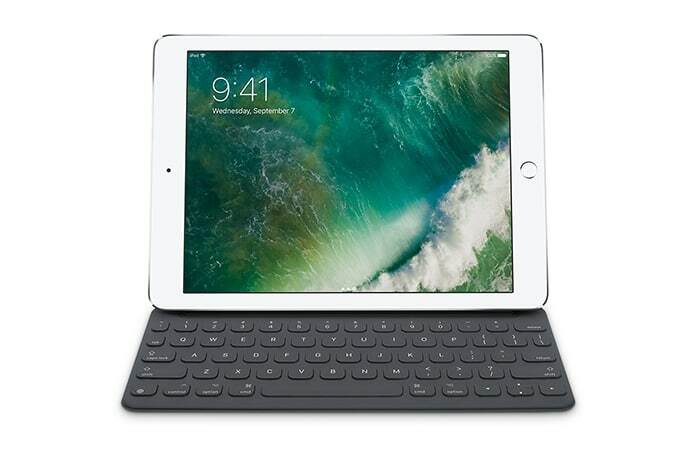 And we have compiled the 7 best iPad keyboards, with great functions and connectivity via Bluetooth. These are, mind you, either very costly or they have a very unattractive design but we have compiled some great quality best iPad keyboards. This is probably one of the best keyboards or maybe even the best one you’ll get here because of its slim and sleek design while being a product of the company itself. It’s completely portable and does not carry much weight either. It does not function through Bluetooth. Instead, it uses Apple’s new proprietary Smart connector, located on the side of the iPad which means you’ll never have to manually charge the keyboard, it will just draw power from the iPad as you use it. 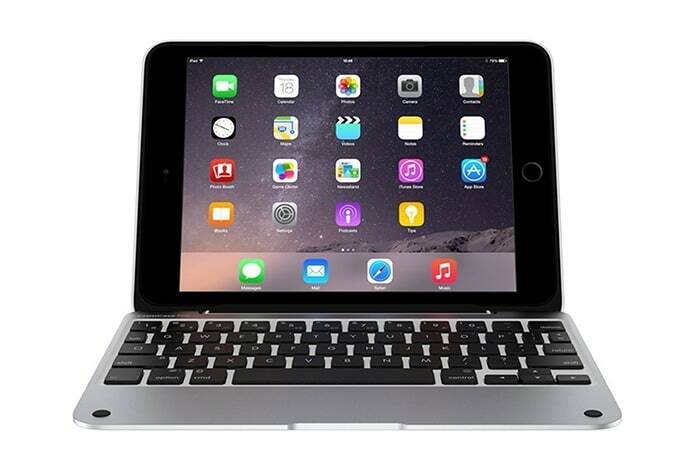 Purchase the Apple Smart Keyboard for iPad from this link. The Razer mechanical keyboard is the first keyboard with mechanical key switches built for a mobile device. There’s an adjustable metal kickstand along with a polycarbonate case. There were complaints that the hinge is not built to last and the key next to the right arrow key, which brings up the on-screen keyboard, is a little too easy to press by mistake. 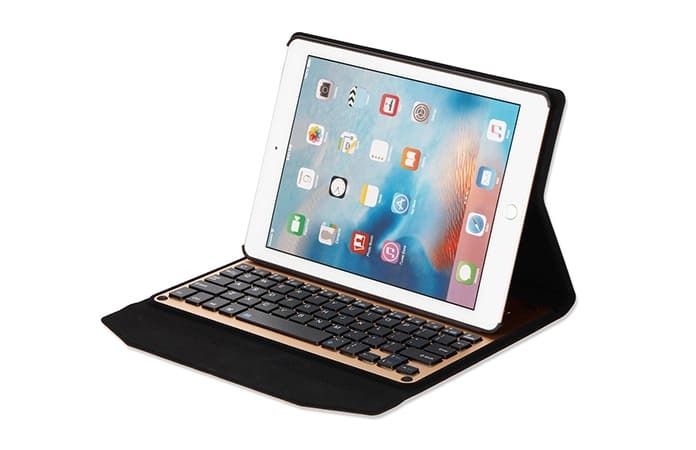 Purchase this keyboard case for iPad directly from Amazon. The Logitech Create also makes use of the Smart connector on the iPad Pro. It sports a backlit keyboard which features buttons for making light adjustments and controlling media. Logitech has also created keys for shortcuts to make it easier for the users, because of the size of the iPad Pro. It has a beautiful layout too. You can go to this link to buy the Logitech Create keyboard case. One of the best iPad keyboards around, it offers the same features as the one for the 12.9 inch Pro but this one is a little more compact. 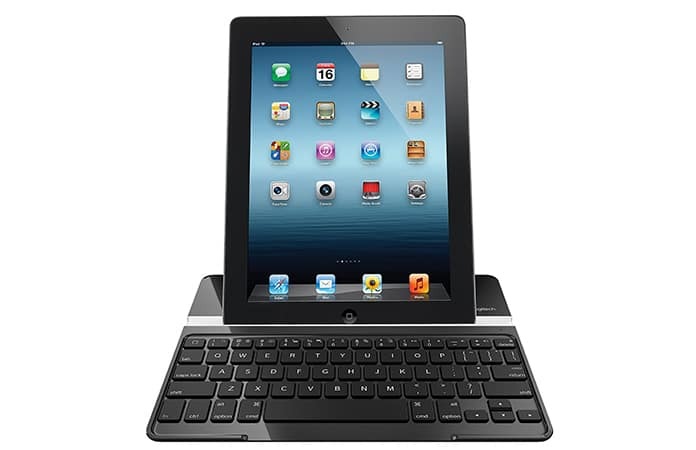 Purchase the best keyboard case for iPad directly from Apple. This is evidently a whole lot cheaper than the keyboard by Apple and it operates through Bluetooth. It also doubles as a stand and a case. It can also run for 150 hours on a single charge, and only takes 2 to 3 hours charge. You can choose from a variety of colors for the best fit. You can buy Ottertooth keyboard case from Amazon.com. Sporting an aluminum enclosure and poly-carbonate shell, they’ve tried to bring in a more MacBook feel. 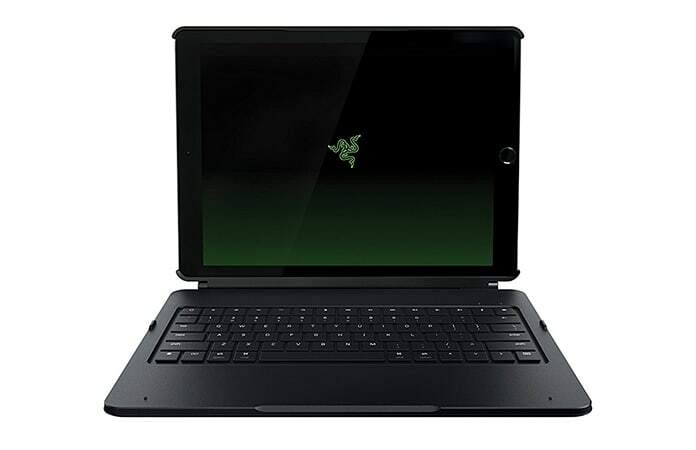 The streamlined device conveniently attaches to the Mini with a 360-degree hinge, which allows you to swivel the tablet completely around and presents a wide array of viewing angles, whether you prefer to use the device while in laptop or tablet mode. 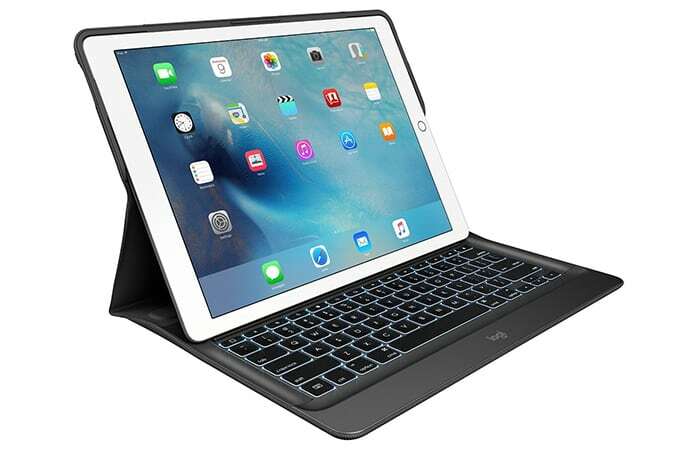 Buy ClamCase Pro – the best Bluetooth keyboard for iPad using this direct link. This is one of the best iPad keyboards around. It’s great for typists because of its spacious layout with an aluminum outer casing that comes in both black and white. A powerful magnetic clip, rechargeable battery, makes use of the iPad’s sleep-wake function and designated buttons for multiple features. 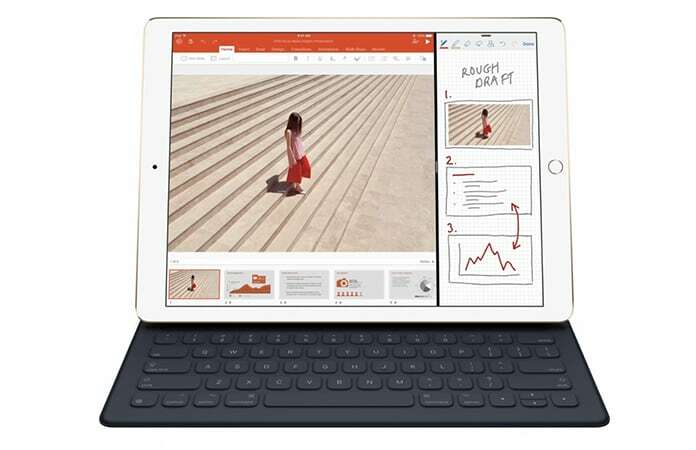 We added this to the list of the best iPad keyboards but we wouldn’t hesitate from calling it the best. 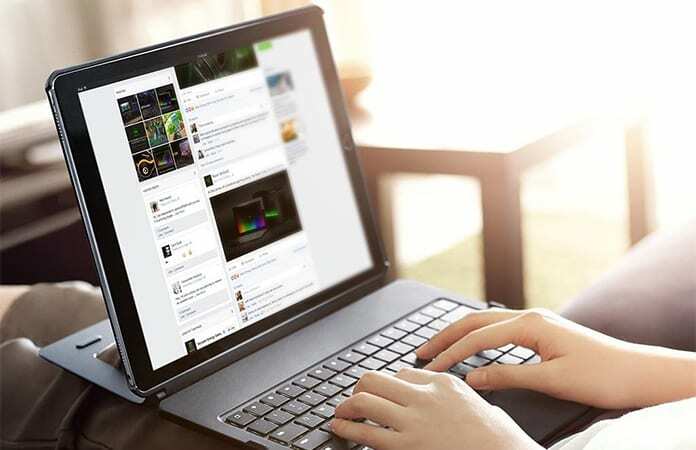 Get Logitech Ultrathin keyboard for your iPad using this link here. I hope you have found a suitable iPad keyboard for your daily (iPad related) task. Let me know in the comments which is the best iPad keyboard for you?